Gold is down more than 25% so far this year. The gold bashers are jumping for joy after 11 years of being silenced. Along the way we heard all sorts of slurs from many different angles. At first in the early 2000s we would hear chuckles and laughs or see people roll their eyes. Many who bought gold back at that prescient time wouldn’t even talk about what they had done because they didn’t want people to think that they were “nuts.” “Nuts” as in conspiracy nuts, contrary nuts, or just plain nuts. Then as the internet bubble and equity markets burst, “gold” was called just a flash in the pan and once the stock market got back to “normal” gold would then go back into its bear cage. As we got into 2003 and ’04 it got a little more serious. I can still remember the debate as to which would reach $500 first, Google or gold? (gold won by a bigger margin than Secretariat could ever have dreamed of). Warren Buffett and other tools like him were trotted out to call gold barbaric and unproductive. Each time that gold reacted and had any pullback at all, TOP was screamed from the 4 corners of the nation and we were assured it was over for gold. We had the big pullback in summer of ’02 and then again in Feb of ’03. We had some doldrums in ’04 and then an extended time in ’05. 2006 started out with a real upside bang, gold reached $730 and peaked on May 15, the following pullback into June 15 was a doozy. Please keep in mind that all along this time period, the media (CNBC) was bearish, brokerages were bearish and you were told that you were “playing with fire.” Maybe you were smart enough to have already ridden the bull this far, “it was a gift” but it was time to end your foolishness. Then gold cracked the $800, $900 and $1,000 levels going into the Greatest Financial Crisis of 2008. Most people just looked at gold and were amazed. “Amazed” at such a huge bubble and scared. “Scared” to get in because surely at levels over $850…you must be “nuts” (there’s that slur again) to even look at gold. Of course, the only ones who actually called the financial/banking/real estate train wreck of 2007-2009 were those of “Austrian economics.” The Austrians called the crash (some as early as 2005 or ’06), these “nutjobs” as they were called until 2008 were also the ones that were long gold. Long because of inflation, deflation, printing, borrowing, cooking the books, banks and financial institutions defaulting or…because gold is money and when push came to shove “cash” (real money) is where you wanted to be when the house came down. Well, where do I start with this one? First, hopefully on the margin, more people have bought on our words rather than sell in “disgust” from them. I am 100% positive that this is the case. More people own gold and silver because of this group who “talks their book” than have ever sold or would be “scared away” now because of a pullback in price. We have seen this type of price action before and we screamed “buy” while they screamed “sell.” Every single time going back to 1999, it was best to have bought. Until now you say? Well, where are we now? We are now at the end of the road. Governments and central banks are broke and broken. Every single new “acronym plan” has proven to be a bust…just as we’ve said they would be. Nothing has worked and nothing will work until a new and completely overhauled monetary plan is introduced. But, but, but, “Gold is down” you say? Yes it is but it is important to understand “why” or “how” we arrived here. Gold and silver were not sold, they have actually been bought, and it was contracts, futures, paper receipts, “surrogates” that were sold. They were sold when those markets were at “thinnest” of the day. They were sold in amounts that simply dwarf annual production or even amounts that central banks claim to have. The paper surrogates” were sold SPECIFICALLY in a manner to effect price. They were sold in a manner to MAKE price. Physical demand has exploded all over the world and premiums and delivery lags have resulted, real buyers of real metal are buying while sellers of fake, unbacked paper gold were selling in amounts that don’t and cannot exist. “But this cannot be so. It’s illegal!” Yes it is. I will say this, gold and silver prices have been “manufactured,” they are not a product of free market pricing. If they were there they would be multiples of what they are now. It has also been said that there is no way that a coordinated effort to smash the price of gold could ever happen because it would involve too many people. How many “conspiracy theories” do you need to see turned into conspiracy “facts” before you “get it?” Governments that issue fiat currency have a vested interest in low gold prices as gold (real money) is their direct competitor. Financial institutions also have a vested interest in low gold prices because their pyramid of “paper products” also compete with gold directly. The “media” who trot out expert after expert who bash gold would never give up their “fair and balanced” principles to advance the wishes of government/finance would they? How many dots do you need to be able connect to reality? So, have we done and are we doing a service or a disservice? We have called bottoms all along the way and have suggested since April and long before to buy any and all weakness. On the other hand there are those who continually try to call “tops.” Granted, there will be one time and many say that “this time” is it that they will be correct. I would tell you this, if you believe that governments will figure out a way to fix their balance sheets, make the banks stable again and in general “right the ship” then believe that the “top” is in for gold and silver and exit this space. If on the other hand, you don’t believe that those who got us here can get us out…then buy the dips and don’t trade…just accumulate. If we are correct and a revaluation is coming and probably coming very soon, will it make any difference whether you paid $1,200 per ounce or $1,800 per ounce or $500 per ounce years ago? No, it will not. The only important thing at that moment in time is how many ounces you have or even whether you have any ounces or not. I would like to remind you that this past Monday we woke up to stories of the Chinese banking system in a seizure mode. Was that to have spread into what I have called a “banking holiday.” How would you feel if you had sold your gold at $1,600 and had already re-bought at the then price of $1,380 or so last Friday and your “check was in the mail” to the dealer? Pretty nifty huh? You scalped almost $300 out of the trade…but wait, China happened and your check doesn’t clear and the metal doesn’t arrive…uh oh! Do you see? I don’t know when, Sinclair or any of the gold bulls know when something like this is going to happen but we fully believe that it will. We have made many “whacked out calls” in the past that “could never happen” but are now considered “business as usual”…please don’t ignore this one. We are headed into a currency, debt, banking, stock market and bond market crisis unlike anything ever seen before in history, you can either be prepared and consider this a “service” or disregard it and consider it a disservice. Opinions are what makes horse races, we have stated ours and they have stated theirs…it is up to you to figure out who’s logic makes the most sense. It is up to you to figure out if the calls for 12 of the past 13 years that were made came from sound logic or were they “pure luck.” Did we “talk our book” or did we genuinely try to help? Have we said one thing yet done another? Have we all put our own skin into the game? In huge oversized percentages? Have we provided a service…or a disservice? You need to figure this out for yourself…it is your future and only yours to protect! Those who sit tight on their ounces will be greatly rewarded. These paper games are on purpose, but can’t last forever. Fundamentals of REAL Money . invest and can invest with whom they like to. Do you know why the big gold/silver miners will do absolutely nothing to stop the blatant manipulation of “paper” precious metal prices? Their own survival is at stake. As Chris Powell said recently, the CEO’s of these mining companies seem to be as thick as the rocks that they dig out of the ground. Even Pierre Lassonde (former Newmont Mining Head) was on KWN the other day spouting some utter nonsense about these price moves being perfectly normal. Why don’t the larger gold producing countries like China, Russia, S.Africa form an OPEC like group for gold producing companies? because they are afraid that funding will get pulled and this is a very capital intensive business. Because they are BUYING metal, they don’t care what it costs to produce, they do no export for sle ANT Gold. “They are afraid that funding will get pulled” the banks activities are coordinated by several membership organizations—one of which notoriously refuses to release a roster— a topic the hard money community is almost religious about neglecting (the same way mining managements are paralyzed)and can hardly find any coverage while these organized termites gnaw away at our future. It’s the same reason people life Warren Buffet never buy silver except to assist the price suppression, you saw where his silver ended up. These organizations I speak of control the legal machinery and that’s why big rich, aligned or otherwise, fear buying in size—the Justice Department could come after them. All this gets back to controlling the nominating process of both major parties so we never get another President like Andrew Jackson. Money should represent value from work. So what is your work value represented by? The work to get precious metals or the work to create paper money? This should be easy to figure. For those who do not understand then let time tell which has more value, gold and silver or paper. It’s a tough choice… Let me think. Paper printed by a Government that can never pay off its debts, or even make the interest payments on them, and cannot possibly keep the, “entitlement” promises it has made to its citizens? Or precious metals? Tough choice? NOT It’s a total, “no-brainer.” And at the prices silver can be purchase for now… bet the family farm on it if you have one. At the very least you will double your money within two years, actually I believe within one year. But if you buy now and the price does double, I certainly would not recommend selling at twice these prices. Can you see the irony of that statement? If the only important thing is how many ounces you have then obviously you could buy more at cheaper prices! The forever permabulls you mention, all with conflict of interest, have urged buying all the way up and all the way down! People like Armstrong and Edelson, who were ridiculed for their forecasting a big drop, enabled their listeners to wait for a better entry point and are now not discouraged by the big drop or too scared to enter back in. That’s what we’re seeing now, many are too scared to get back in or buy at these great prices because people like you and the others have been falsely proclaiming the bottom is in and we’ll never see these prices again. Well, if you’ve completely missed the boat on these calls isn’t it logical to not have any confidence in any more of the permabulls forecasts? If you don’t have any conflict of interest, as you infer, then why not, for the sake of fully informing people who folow you, give Armstrongs and Edelsons take on the market? After all they have been more correct than all the others you mention. But will you acknowledge this or keep insisting you’re right when the market is proving you wrong? As Armstrong says its all about capital flows worldwide, not just a simple matter of fed prints/gold rises. Having said that I own gold and silver and will be buying again shortly, both Armstrong and Edelson forecast higher gold prices, but realistically so. like Rogers they realise markets never go straight up, something so simple and obvious but something the permabull gurus refuse to see. OK, I’ll be blunt. First off why do you even read my “permabull” blather in the first place? Now let me ask you a couple of questions…is Gold “manipulated”? Is the price freely traded and found freely in an unfettered price discovery market? Or are there two markets, one where it is cash and carry and another where paper receipts are traded on a leveraged basis and can be used to “force” a price? Before you answer this, ask yourself how it is possible that 40% of the entire global production hit the sell side on just one exchange in less than 12 trading hours…the COMEX. So here we go, if you A. tell me that Gold is NOT manipulated then I would say that you are either an idiot or disingenuous and you need not read any further or write into my blog any more because I will spam it. If you agree that Gold is not freely traded and the price is and has been suppressed by central banks then that means that B. the price would be higher in fiat terms were there no manipulation. A week ago this past Monday we heard stories of the Chinese banking system seizing up, were that to happen do you really think that any Gold ordered after Armstrongs “3 days up and then down” will actually get delivered? The day is coming where you will either own it or not, I contend that it will be better to own it. It is really this simple, Gold is either the ONLY asset on the planet that is not manipulated or it is manipulated, one or the other. If you claim that Gold is freely traded and governments do not interfere with the price discovery then sorry, I cannot help you and will not spend the time discussing it. First off I hardly read your blog, thank god, because I would have been a lot worse off and hesitant to get back in if I had always bought on your, and the people you quote, advice. And to answer your question, YES, you have done a disservice by telling people to buy at a top. I only decided to jump in because of the constant ridicule of those few people who have been proved RIGHT on the direction of the precious metals! Now there is a paper price and a physical price in all commodities, so what? You can still buy a gold and silver contract and take delivery, I used to do it often, I still can, you and others have been going on about what might happen for years now about comex default etc. and nothing has, yes , one day it may but my point is you have no idea when and disregard those who obviously have a better understanding of the markets doing your readers a disservice, if its all about how many ounces you have why would you buy at inflated prices when you can buy more at a discount? If its manipulated why do you even try and call a bottom or time to buy? I’m sure gold and silver will have their day in the sun and then you’ll come out and say ” I told you so! ” but there is a big difference in buying at the top and waiting for it to catch up after a 50% or more decline and buying closer to the bottom and participating in the run up. Unfortunately still too few people are interested in gold and silver yet for it to take off and we have come off a lot, time to start buying now, if you have any money or nerves left. most of what you write proves what I have already written. Since Gold is manipulated and/or the market “illogical” as you put it and “too small” to handle $ trillions in flows (which are eventually coming) then it should be priced higher? If it “should” be priced higher …then one should try to pick bottom’s not tops and urge buyers for the big trend rather than call tops and urge sellers for the small gains, right? …And buying physical at “too high” a price will cause some to go insolvent because the “illogical market” (that Armstrong is steering people away from) will last longer than one can stay solvent? Because the “illogic” will last too long? 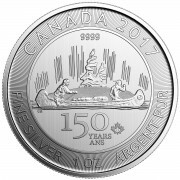 A Silver Dollar for a cup of coffee? Please read again what you wrote…calling tops in a long term bull market is a mugs game, you can only truly be correct one time…and that time is not now or at $1,900 Gold. Maybe you are not a complete idiot but you are definitely borderline. What Jason neglects to realize is that the Permabulls are trying to get people to protect themselves from an inevitable financial collapse. There are so many potential black swans that can literally freeze up markets over-night and if you don’t have precious metals in your possession at that time, it may very well be too late. If you don’t own precious metals today, you need to start buying immediately, regardless of price (and that was true at $1,900). As the price drops further you buy more. I am late to the game and started buying at prices 30 to 40% higher from today’s prices. I don’t regret that because I had zero protection at that time and had to do something before the next crisis hits. There are countless of scenarios that could result in a lot of Armstrong’s disciples being left with no protection because they tried to perfectly time a rigged market. THIS is an absolute travesty and there is no greater disservice than to protect his readership from something we all know will come sooner or later. yes AK, this is what I have tried to get across all along. Yes you can try to time it perfectly…if you don’t get it right then you are screwed! THIS is an absolute travesty and there is no greater disservice than failing to protect his readership from something we all know will come sooner or later. Anybody who is bashing the Bill Holter’s of the world for advocating physical ownership of precious metals at any price is completely missing the point of Gold and Silver ownership. Telling people not to buy Gold until it hits a certain price target is akin to telling the sole income earner of a family that he is better off saving the money rather than buying life insurance now since he/she is unlikely to die anytime soon. Gold and Silver are the insurance for our financial assets. Most of us have health, life, car and home insurance, so why on earth would we not have insurance for our paper investments that have counter-party risks? For many of us, our investments are a greater share of our net worth than our other wordly possessions, yet we should not buy insurance for these assets until the insurance premium gets down to a specific price target? Does Mr. Armstrong and his disciples really think that it is a good idea to take such a gamble? Jason thinks Miles Franklin is doing a disservice to its readers by advocating protection at any price. I don’t know about other readers, but I can tell you that once I learned from the great articles that you put out every day, that my financial paper assets are at risk of literally being wiped out over night, I was willing to buy Gold and Silver at any price. Once I had my core position of physical metals established, I have been adding to my stash on dips and I will continue to do so. Not once did it cross my mind that I should blame Ranting Andy or Bill Holter for motivating me to buy Gold and Silver at higher prices, just like I won’t call my insurance agent to complain that he should not have sold me my life insurance 10 years ago because I’m still alive. In my view, there is no greater disserve than for Mr. Armstrong to advise his readers to hold off on buying insurance until the time and price is right. yes, it’s more dangerous NOT to have a core position than any $ figure that Gold could go down after purchase. The thing is that right now we know that the patient WILL have a heart attack in the near future…we just don’t know the day. Owning Gold is like buying homeowners insurance because you know for a fact that your house will perish in a fire…trying to guess when is stupid. That’s my whole point, Armstrong isn’t advising you to buy or sell the metals, he has no dog in this race other than to show you how the markets work. He and Edelson have been right and have been ignored or ridiculed in favour of those other gurus who have been wrong for the past two years and on whose advice many probably bought at a top. If the name of the game is to thrive and survive you have to be smart about how you go about it. If you think buying insurance when it is at its most expensive instead of waiting for a pullback to buy at about half price, or better still, twice as much for the same price then how is that a good strategy? Seen Armstrongs latest? German banks are in trouble, where do you think that money is going to go? If you think gold you obviously don’t understand the dynamics of what’s happening, that money will go into the $US and it will probably go up even in gold and silver terms. You guys will cry manipulation! To advise some one to buy at any price is the same as advising some one to buy at the top of the housing market and when it drops by half saying ” It’s okay, prices will come back!” That’s essentially what has happened and to many people who bought gold and silver over $1900+and $40+ and to try and spin that as not being a disservice is ingenious to say the least. To not give some objective views from very creditable sources and to always be bullish is an incredibly amateurish position to take. BTW , unlike Armstrong, I don’t think Bill etc. have a conflict of interest, I’m sure they have the best of intentions, as does Sinclair, but good intentions can have negative outcomes if you don’t really understand what the full picture is. So, are you ready for the next leg down? If someone does not have a position in physical precious metals right now, they need to establish one, regardless of price. Am I ready for the next leg down? Absolutely, although I don’t expect to be able to buy physical metals at much lower prices from here, I will continue to do so if I get the opportunity and the physical metal is still out there to be had. But how do you know that prices are going lower? How did anyone know for sure that prices were going down from $1,600? Armstrong was right so far but that does not make him infallible. There comes a time when the fundamentals will even overcome the blatant manipulation that is occurring in the paper markets. The physical off-take is staggering right now and we are witnessing a massive transfer of precious metals from the West to the East. Nobody knows when the day will come that the paper Crimex no longer dictates the price of physical Gold, we only know that it is unavoidable. I for one am terrified by the $1 Quadrillion plus financial weapon of mass destruction (derivatives). This is a ticking time-bomb that could explode any time and when (not if) this happens who knows what the outcome will be. All I know is that when that day comes, I don’t want to be anywhere near paper assets with counter-party risk. I am not going to play games with my wealth trying to figure out when the perfect time is to unwind my paper investments and turn them into physical precious metals. Unless you have a crystal ball, and you seem convinced that Armstrong has one, you are taking a massive gamble by hoping to be able to buy precious metals at some ideal time in the future. I can tell you that I sleep better at night knowing that I have converted some of my paper assets into precious metals and the fact that the bottom may not be in does not bother me in the least. In my opinion, if you don’t already own a core position in physical precious metals that you feel will be sufficient to hedge your other financial assets, it would be a big mistake to time your purchase perfectly. If anything catastrophic happens (and god knows there are countless black swan events that could bring down the financial system over night) while waiting for the bottom, you may not be able to buy any precious metals at all. I would rather have precious metals in my possession today, just in case. You and other Armstrong disciples may get lucky and time the bottom perfectly, but what if you’re wrong and we have already seen the bottom? The sentiment could hardly get any lower, the physical market is on fire and it is obvious that the money printing around the globe will not stop and will likely intensify because otherwise everything collapses. The dollar may strengthen near term but we all know that it will ultimately lose its Petro Dollar and World Reserve Currency status and from then on will be in a free fall. Who knows when that day arrives. I’d rather be a couple years early than even one minute too late, because those who arrive late to the party will either miss out entirely or pay exorbitant prices for whatever few metals remain at that point. Jason, what pisses me off is people like yourself criticizing people like Bill Holter who do nothing but to try to get the message out that people need to take action to protect themselves. How is that a disservice? We all know that the Jim Sinclair’s of the world are not wrong about where prices will go eventually, they may be wrong about short term gyrations but anyone who says that they know where the price is going next is a charlatan or a scam artist. Right now, we have the vast majority of Americans completely unprotected against the next financial crisis and those who are getting the word out that people need to do something now (not sometime in the future) to protect themselves for the next financial calamity are providing an invaluable service. How valuable do you think Armstrong’s advise will be to a new comer who is sitting on the side-lines waiting for the magical buy signal if markets freeze up over night? What if there is some default event in the precious metal sector and prices soar over night and you may not get the amount of metals that you intended to buy? Do you honestly think that this can’t happen, do you honestly think Armstrong can predict everything and knows exactly how the end game will unfold? So coming back to the ultimate question of service vs. disservice, Bill Holter and the Miles Franklin family are providing an invaluable service by educating people that they need to protect themselves. The decision of when and how much to buy is my decision alone. Yes, I listen to the likes of Jim Sinclair, Bill Holter, Eric Sprott, etc. but in the end I know that they don’t know when the bottom is in, just like Mr. Armstrong does not know. All I can do is absorb as much information as I can and then make an educated decision on when and how much to buy. I hope that the Armstrong disciples have enough common sense to do the same and not to blindly wait for his signal to buy, because if they do, they will lose in the end. Thank you AK for spending the time to put this together, while on my morning ride I was thinking what a waste of my time responding would be, both in length and because Jason doesn’t understand what we have been trying to do. Yes, we do address the 1/2 of 1% who already own metals and try to strengthen weak knees but the main mission is for the other 99.5% who have no protection from what is coming whatsoever. Trading against manipulation (if you don’t believe it you are either an idiot or disingenuous) is a very hard thing to do…BUT IS THE REASON to buy because you are receiving a subsidy, at this point a VERY BIG ONE! Thanks again. Well AK you raise many good points, and I’m with you on many of them, as I’ve said I do own gold and silver and for exactly the reasons you state. What gets my goat is the permabulls who are eternally bullish. We all know things don’t go up forever in a straight line, even Jim Rogers said earlier this year that if gold and silver don’t have a significant correction he would have to sell, that’s a man who knows the market talking. Even Sinclair said for some time to ” sell the Rhino horns and buy the …I forget, but the point is markets correct, this talk of the comex defaulting has been going on for YEARS! Yes it is better to be a month or so early but years? The constant bullishness in a 2 year bear market is a disservice, IMHO, and I know many who have been discouraged by it who have sold their positions, at a loss, and left themselves unprotected as a result. Yes , it is a personal decision when and what you buy but that decision is based on what, and who, you read. A more balanced and impartial view is all I’m asking for, so people basically know that there is more to it than what is offered here so far. For example China is slowing, this means commodities as a whole will decline, gold and silver WILL be affected, if you realise this in advance you can rationalise holding on and even buying more. “many” who sold out of discouragement? Can’t help “stupid”. From the man who held on while his gold and silver crashed 50% plus…and counting. Notice the drop to the $18 level? Of course all markets correct but you are comparing Gold and Silver to a traditional investment. People who invested in Apple at $700+ may never break even on their investment, because Apple shares won’t always have value. 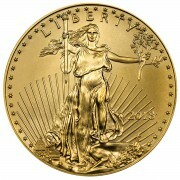 Gold and Silver, on the other hand, will always have value regardless of what the paper price is. When (not if) that fateful day comes where all financial markets seize to function, Gold and Silver that are in your possession will be the only remaining financial asset that is not owed to somebody else. What is that worth to you? 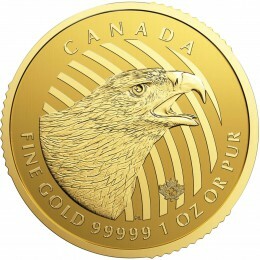 Those who converted their fiat dollars to real money at higher prices and who are now discouraged and capitulating should have never purchased Gold and Silver in the first place, because these uneducated fools are nothing more than moment chasers who don’t understand the protection that Gold and Silver provide in this doomed financial system. The constant bullishness by the PM perma-bulls is not a disservice but rather is an important reminder that the fundamental reason for owning Gold and Silver don’t change just because the price happens to drop or due to some propaganda news event in a completely dysfunctional system. 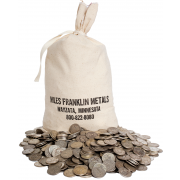 While everybody is bearish on Gold and Silver and has been for some time, only the likes of Miles Franklin and the true precious metal experts have never waivered because the fundamentals are so overwhelmingly bullish for Gold and Silver regardless of the price. So contrary to your believe, I KNOW that Miles Franklin, Jim Sinclair, Eric Sprott, etc. are providing an invaluable service with their consistent message because while the entire world has been screaming to SELL, SELL, SELL, the true experts are preventing those of us who are tempted to capitulate from making the biggest financial mistake of our lives by selling the one asset that will help protect us in the coming calamity. And let’s not forget that while the manipulators and the idiots continue to scream SELL, SELL, SELL, the smart money is scrambling to BUY, BUY, BUY as much physical as they can find. You think China’s slowing economy will drive Gold and Silver prices down further? Perhaps, but China will continue to buy as much physical Gold and Silver that they can get their hands on and so will India, other Central Banks and the ultra-wealthy smart money who all see what is coming. You better believe that China will continue to convert as much of their American treasury garbage into real money as they can. The lower the paper price is pushed down, the greater the scramble for the remaining physical supply. So, anybody who continues to sit on the side-lines waiting for the bottom will find one day that all the Gold and Silver is gone. AK, you say those uneducated fools who bought at higher prices and then capitulated shouldn’t have bought in the first place, well, Miles Franklin, Turk etc. was probably where they got alot of that (un)education. Those that understand don’t need the education, the permabulls, as the name implies, forecast never ending rise in prices and a buy now before we have an explosion to the upside! KWN. And Holter has the nerve to call them stupid! As for value, well, anything is only worth what others are willing to pay for it and for the last several years people have been willing to pay less and less for gold and silver. Funny you should regard those of us who sold above $1900 and $40 to be idiots, when we can now start buying at a 50% discount, who said anything about waiting or trying to time a bottom? I’ve been buying since silver was under $19.50 , gold has a bit further to go. As for your fundamentals, they haven’t changed , in your mind, since gold was $1990 but the price certainly has, it’s not all about manipulation, that’s a scape goat by the permabulls trying to cover their disastrous permabull strategy, if you focus solely on the domestic economy your fundamentals are lacking serious input. Gold and silver will have their day but not until Japan and the euro crash until then expect strength in the dollar because thats where the money will be flowing. If you truly believe that its the amount of gold you have thats important then you have done yourself a great disservice listening to these guys if you bought when they told you to in the last several years. You write “it’s not all about manipulation, that’s a scape goat by the permabulls trying to cover their disastrous permabull strategy”. Like I’ve said before, either you believe Gold is manipulated or you don’t. If you do not then you are a fool fooling yourself. You must have had really good timing to sell your Gold over $1,900 as I believe it traded there for less than 48 hours if I recall. In any case, congratulations, you are the best and should open your own timing firm. I have spent far too much time responding to you. Please don’t read my stuff anymore nor write in because I will no longer respond nor post. Good luck to you.